Shetland will be doused in darkness of a different kind this winter when it hosts its first crime writing festival. Shetland Arts and Promote Shetland are teaming up to hold the previously announced Shetland Noir over 13 to 15 November. The celebration of the noir genre is being held in conjunction with their peers at Iceland Noir, who have hosted their own crime-themed event since 2013, and is said to appeal to fans of ‘espionage, forensics, Nordic noir and traditional mystery’. The isles are linked to noir literature not only in locale – nearby Scandinavia is a hotbed for the dark, brooding genre – but through Ann Cleeves’ successful Shetland book series and subsequent BBC TV drama. The inaugural Shetland Noir event will see a host of international crime writers – such as Arne Dahl, Denise Mina and Håkan Nesser – visit the isles to take part in ‘conference-style sessions’ and other interactive events, such as workshops and tours. With the Mareel-centered festival a number of months away, Shetland Noir, in keeping with the genre, is shrouded in a bit of mystery. Shetland Arts’ literature development officer Donald Anderson, however, said that the weekend event would lead from the blueprint of its Icelandic neighbour. 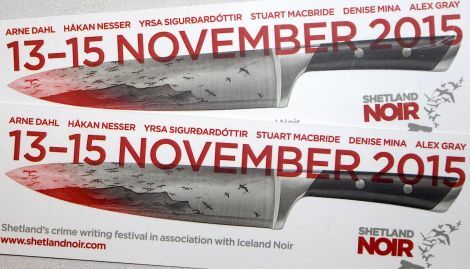 “The festival will to some extent follow the model of Iceland Noir and other crime writing festivals,” he told Shetland News. “The core programme will be a conference-style series of panel sessions, which will each involve three or four authors in a moderated discussion of a designated topic related to crime fiction writing. “Some examples from Iceland Noir include ‘Translating Crime Fictions Across Cultures’ and ‘Location, Location: From Greenland to South America, via Romania and Greece’. “The themes tend to relate in some way to the authors who come to the festival. “In the case of Shetland Noir, look forward to some sessions around Nordic Noir writing, the importance of place and culture in crime writing, different perspectives, including the Nordic perspectives and the Scottish perspective. “As well as the discussions we are planning some ‘extra curricular’ activities which will include live music, a bus trip, a stand alone author event that will also be available to people who do not have festival tickets and at least one party! The idea of Shetland Noir was coined in part by Ann Cleeves after she attended the Iceland event two years ago and struck up a ‘gentlemen’s agreement’ with the organisers, who agreed to put their festival on hold until 2016 to focus on birthing a Shetland version. Anderson added that attendees are due to come from as far away as the US and Canada, with a healthy pilgrimage of Brits and Scandinavians also predicted. So why is Shetland fertile ground for a crime writing festival? “Well, in November Shetland is certainly going to be noir,” Anderson said. “There has also been a lot of interest in Shetland as a result of the popularity of Ann Cleeves’ novels and through the impact of the Shetland TV series, which apparently was the most downloaded show on the Norwegian equivalent of iPlayer last year. 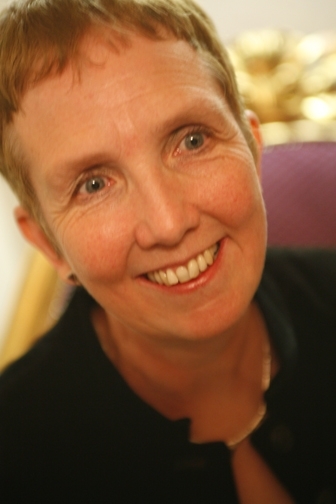 Cleeves herself, who will appear at the festival, described Shetland as “a good location for a crime writing festival because Shetlanders are always welcoming to visiting artists and authors”. She said: “They’re used to hosting music festivals and I’m sure the visitors will have a wonderful time, whether they’re journalists, writers, publishers or readers. The author, whose Shetland-themed novels include Raven Black and Red Bones, firmly believes that there is a market for a crime fiction festival in the archipelago. “Crime fiction is usually the most popular genre in Shetland libraries and with this festival local people will have the opportunity to meet some of their favourite writers. The Iceland Noir team meanwhile will be giving a helping hand to its Shetland counterpart in November with advice and assistance. Writer and festival co-founder Ragnar Jonasson added that their own festival has experienced a huge wave of success in the last two years, with the group hoping to add their golden touch to the Shetland event. “We were really amazed by the reception that Iceland Noir had and the event has been more or less sold out in terms of venue capacity, at the Nordic House in Iceland, two years in a row,” he said. “The visitors, including authors, have mostly come from abroad, which was a surprise to us, and many have even visited Iceland for the festival both in 2013 and 2014. 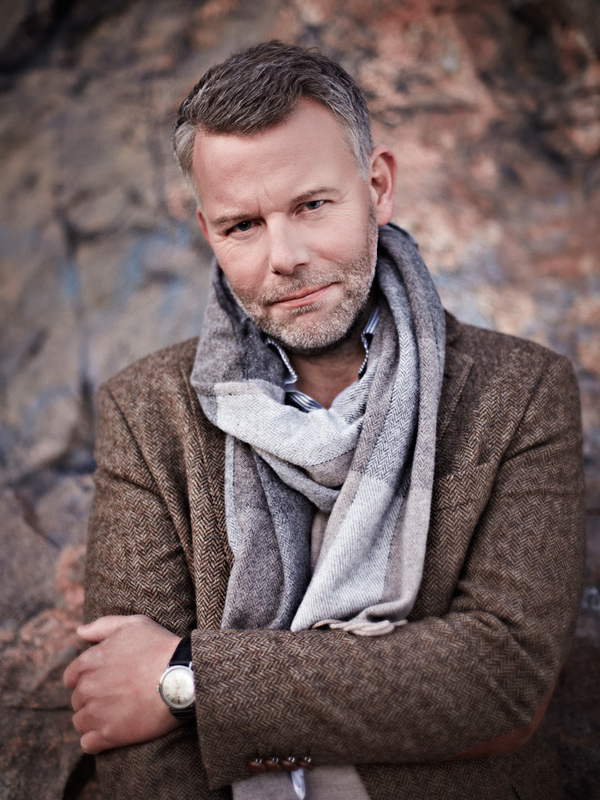 Swedish author Arne Dahl, whose Intercrime series has sold over 2.5 million copies worldwide, will be one of the main draws at Shetland Noir. He believes the genre of literature and TV is currently booming because it pivots on essential elements of plot-driven writing. The Swede, who has always “dreamt” of visiting Shetland, added that he hopes to intertwine himself with the isles and its culture during his November trip.